thanks so much melisse for this award!! appreciate it with all my heart! I'm also giving this award to mari, to kathy and to jennie . 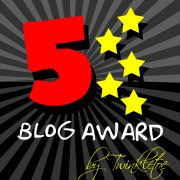 Mga sis 5 star naman talaga ang mga blogs nyo..:) you girls deserve this award I think more than I do..hehe!